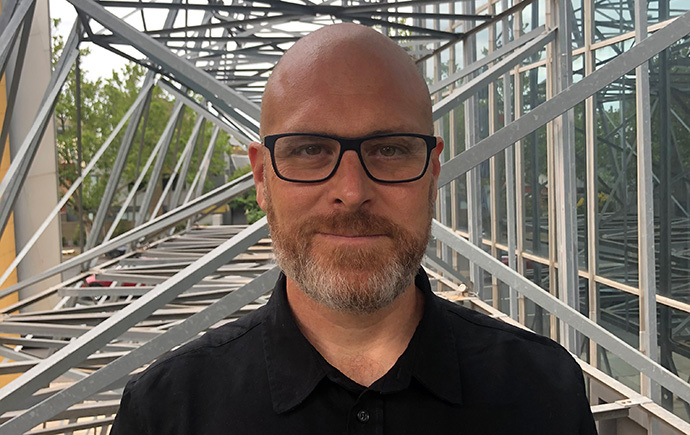 His research examines the contributory role that architecture and urbanism can play in addressing the significant challenges facing contemporary urban environments – climate climate change, resource limitations and rapid population growth with a key focus on the Global South. As an award-winning architectural practitioner and researcher, Ramírez-Lovering has been commissioned to design a range of projects including affordable housing, commercial projects and public art projects and has completed a number of urban resilience projects with State and Local Government groups and industry. His written work has been published in leading journals in Australia and Internationally and his built work has been awarded by the Australian Institute of Architects. He is frequently called upon to talk to the media, present keynote lectures nationally and internationally and participate in adjudication, advisory and review panels for the public and private sector. Ramírez-Lovering is the co-founder of the Monash Urban Laboratory. This practice-based research unit undertakes design-based research from the scale of dwelling to the scale of the city/region. His research aims for impact, is undertaken in design-based mode, is interdisciplinary, and is developed in collaboration with researchers from other universities, government and industry. Ramírez-Lovering has developed a body of design research examining the issues and processes involved in delivering best-practice water-sensitive urban design from the scale of the dwelling to the scale of the catchment. This research involves climate, and local catchment issues including ecology, water quality, and flood risk. This research has been explored in the developing city context of the Global South. An exemplar of this research approach, Ramírez-Lovering is leading the development of design and engagement models for a multi-million dollar international research project aiming to advance human health and well-being in informal settlements by transforming housing, water infrastructure, water management, and sanitation practices in 24 communities in Fiji and Indonesia. The project, titled Revitalisation of Informal Settlements and Their Environments, includes an AUD$14 million grant from the Wellcome Trust’s “Our Planet Our Health” program and funding from the Asian Development Bank for capital works. Ramírez-Lovering is also co-leading an interdisciplinary team, which was awarded an Australian–Indonesian Centre Cluster Investment Plan, in the project Developing Leapfrogging Pathways towards Water Sensitive Cities. The project will focus on the development of sustainable urban water management in Indonesian and Australian cities. Ramírez-Lovering’s research focuses on Urban Design and Demonstration Projects, which aim to guide and catalyse water-sensitive futures for Indonesian cities.